Please read this User Agreement before accessing or using Resilient Cities 2019 (RC2019) website. The following User Agreement sets forth the terms and conditions of a license for you to use the RC 2019 website. By requesting access to view data and/or uploading data, you have expressed your interest, thereby providing your consent and agreement to comply with all the terms and conditions of this User Agreement. “Resilient Cities Series” refers to the series of the Annual Global Forum on Urban Resilience and Adaptation, hosted every year in Bonn since 2009. “RC 2019” refers to the 2019 edition of the Resilient Cities Congress. “RC 2019 website” refers to the website of Resilient Cities Congress for 2019. On this website, the participants to the congress can register and potential contributors can submit their presentation abstract. “Contributors” refers to any user which has created an account on the RC 2019 website in order to submit a contribution to the Resilient Cities 2019 Congress. “Participants” refers to any user which has have registered as a participant for the Resilient Cities 2019 Congress. “Data Users” refers to any third party using, free of charge, the information contained on the RC 2019 website and available to the public, and hence subject to these terms and conditions. ICLEI uses the collected data exclusively for information related to RC 2019, provides services to participants and contributors and to promotion and to promote RC 2019 as well as the Resilient Cities Series. ICLEI e.V does not use the data for commercial purpose. By uploading their contribution on the RC 2019 website, the contributor agrees that, if accepted by the reviewing committee, their work will be published on the RC 2019 website. For citation purpose, the data user shall make reference to RC 2019 website as the data source and indicate the date of citation on any publication. In the context of the event, photos from you might be taken and published on our website. If you do not wish those photos to be on our website, please let us know by sending an email to resilient.cities@iclei.org. The data users agree to assume sole responsibility for maintaining the security respecting the User Identification and passwords issued. 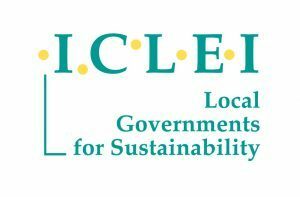 The users of the website do not have the right to use the ICLEI logo or the Resilient Cities logo, or any related logo. All trademarks, names, logos and service marks (collectively “trademarks”) displayed on the website / database are registered and unregistered trademarks of ICLEI and its partners. Nothing contained on this website and database should be understood as granting any license or right to use any trademark without the prior written permission of ICLEI or its respective partners, as relevant. All information, description, photos, articles and abstracts which can be found on the RC 2019 website are ICLEI e.V´s property or are copyrighted materials belonging to the contributors. .
All forms of sub-licensing, reselling, republication or other forms of redistribution of any of the data or software used on the RC 2019 website- including Internet posting, electronic mailing, faxing, archiving in a public data, redistributing via a computer network or in printed form – to any third party, are strictly prohibited. ICLEI reserves the right to modify this User Agreement at any time. Any revised User Agreement will be posted on RC 2019 website. Modifications shall take effect immediately following posting of the new User Agreement. ICLEI makes no warranties, representations, statements or guarantees (whether expressed, implied in law or residual) regarding any information provided by contributors. Errors or omissions are the responsibility of the contributors. External links may be provided for your convenience but are beyond the control of the website owner and no representation is made as to their content, for use at own risk. ICLEI e.V. cannot be held liable due to consequences of inaccurate data and information provided by the registered users. The website owner shall not be responsible for, and disclaims all, liability for any loss, liability, damage (whether direct, indirect or consequential), personal injury or expense of any nature whatsoever which may be suffered by you or any third party, as a result of or which may be attributable, directly or indirectly, to your access and use of the website, any information contained therein, your or your organization’s personal information or material and information transmitted over our system. Any dispute, controversy or claim arising out of or relating to the Agreement, or the breach, termination or invalidity thereof, that cannot be resolved by negotiation shall be addressed at the district court of the city of Bonn.